This entry was posted in Bea Franco and tagged "Terry Franco" in On the Road, Alice Braga as Terry Franco, Bea Franco and Jack Kerouac, Jack Kerouac's On the Road, Jack Kerouac's The Mexican Girl, University of Arizona Press. Bookmark the permalink. Imagine what she felt when she saw a book published about her & letting her know how her name was mentioned in his writings? This is touching. This whole time I am thinking Kerouac? I remember Jack but not much else, somehow I know his name, just a tad before my time but I do know his name & now glad to know Bea’s. I am intrigued. I cant wait to read it and read from her point of view and also during the time of our own Grandmother’s. May Bea, “The Mexican Girl” rest in peace. ❤ My heartfelt sympathy's to her Family & you also Tim. is just so beautiful………..as she was …& as she remains.. I was always taken in by this relationship with Jack and this Mexican girl. I would ( on occasion) wonder what had happened to her and her brother after Jack. To bad we didn’t catch up to her till the late 2000′, but thank God that we did. Daah you go, daah you go..
what became of her brother? I’m sorry I never got to meet her. Thank you for sharing her story, hermano. Rest In Peace Bea. 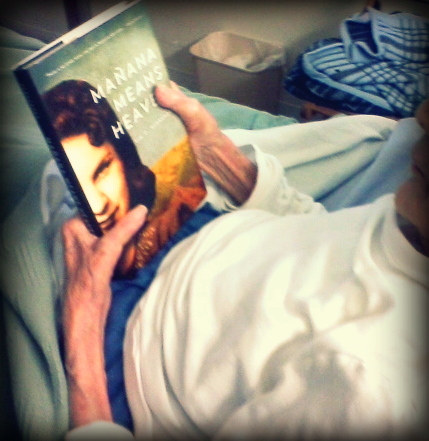 This is tragic, but I am happy that you were able to share her story so that she will live on in the minds of readers. & then reading about Bea & Jack picking the grapes….I know my six grape vines each August are abundant & picking is such a chore ~~ fall out of my bowl then in & I cant imagine doing this for my living w/a clock ticking so loud. the connecting thread is so vast & magical & real ….